1. Peter Pan Collar Blouse - Simple Sew. Despite the basic pattern this blouse is adorable, super easy to wear and a perfect fit for my lifestyle. 2. Hawthorn Blouse - Colette Patterns. So chic and elegant. It's easier to wear in warmer weather, but I love it nonetheless. 3. Elisalex Dress - By Hand London. Not exactly an everyday dress, but I took great care over the making of it and it really shows in the details. It's a show-stopped every time I wear it. 4. Armistice Blouse - Folkwear Patterns. Not in regular rotation due to its delicate nature, but I'm so proud of this blouse as it's made from silk hand-spun and woven by my great grandmother. 5. 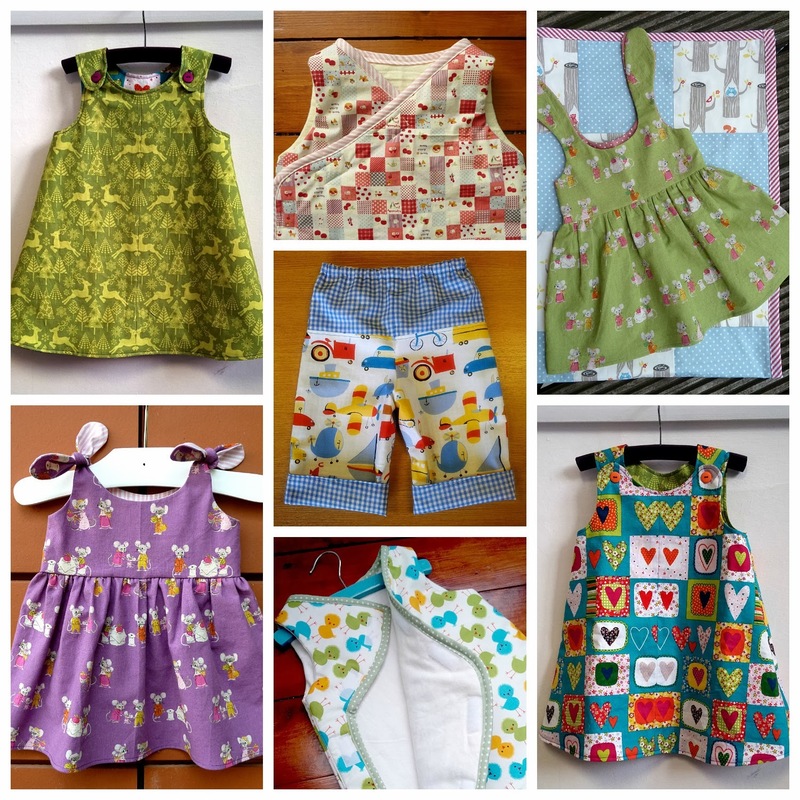 Hawthorn Dress - Colette Patterns. Once again more of a summery number, but I love the fit and style of this dress. It would probably also look good with tights, a cardigan and boots...something I must try. 1. 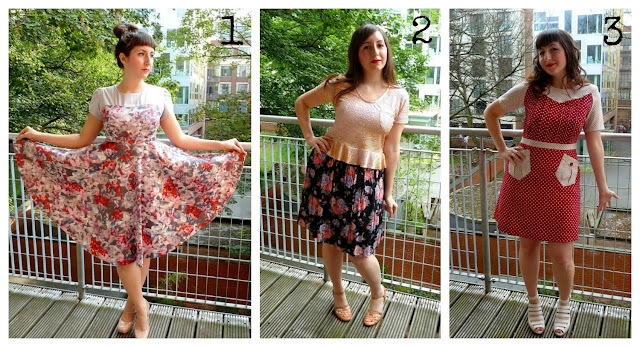 Ballet Dress - Dixie DIY. Love the pattern and my fabric, but I wish I hadn't drafted tulip sleeves as my jersey wasn't really stable enough to hold their shape. I still wear it, but with a cardigan mostly. 2. Summery Mathilde - Tilly and the Buttons. Unlike my first rendition of this pattern, this silhouette just wasn't flattering, so I ended up giving it to a very grateful and Liberty-loving friend. 3. Macaron - Colette Patterns. Although this looks pretty in the pictures, the fit isn't quite right and I made an error in fabric-weight judgement. 4. Laurie Striped Tee - Named. I do enjoy wearing this a lot, but I ended up shortening it a tad too much. Next time I'll also lower the neckline. 5. Anna Dress - By Hand London. I really want to love and wear this dress more, but I can't escape the fact that it makes me feel self-conscious about my tummy. I'm inspired by all the beautiful skirt variations I've seen online, so I will try again and with a less clingy fabric too. Aside from selfish sewing, I also made my mum a rather large patchwork tablecloth and a number of cute little things for friends' babies. Some of the above I've yet to blog about, but I've surprised myself by how much I've enjoyed sewing for little ones. I swear there's something in the water because a handful of babies 'arrived' this year and there's three more on the way for 2014...so expect to see more titchy sewing! 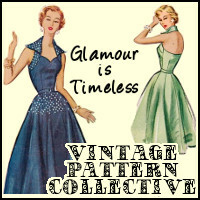 2013 definitely started with an exciting bang for this blog! 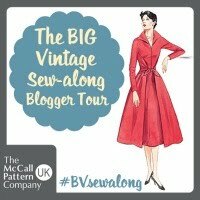 After coming across a large amount of delicate vintage lace, I somehow managed to convince eight talented and beautiful bloggers to join me in sewing up something wonderful with it. If you missed it at the time, you can still read all about Watch This Lace and explore each of the creations. There's never enough time in a day / week / month to take part in all the exciting sewalongs out there, but I'm so happy that I managed to squeeze in a few super special ones and thankful that in some instances I was asked to participate in the first place. 1. 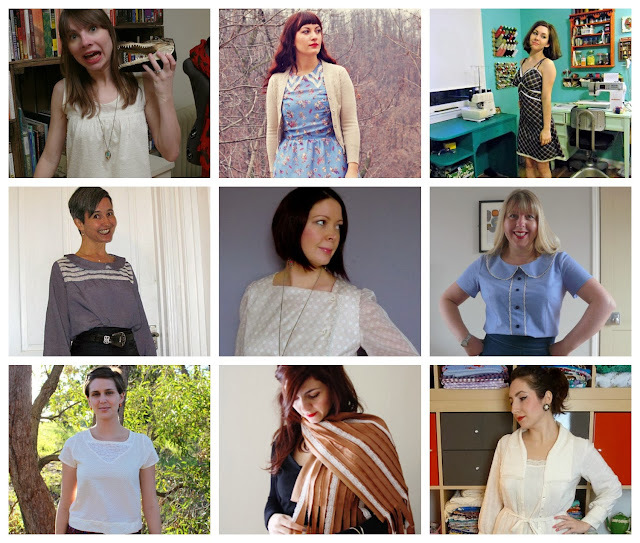 One Pattern, Seven Bloggers...the sequel. 2. Sewing the Trends Summer 2013 - organised by Sew Country Chic. 3. 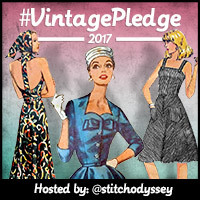 Sew for Victory - organised by Lucky Lucille. 4. The Refashioners - organised by Miss P.
5. Archer Appreciation Month - organised by Miss Crayola Creepy and Lucky Lucille. September, October and November was when 2013 really got really crazy for me. Amidst buying a first home with the boyfriend and proceeding to renovate parts of it, Rachel from House of Pinheiro and I co-hosted the Dakota Sewalong. The sewalong was a first for us both and I'm immensely proud of what we achieved and the quality guest bloggers we had on board. However, I'd do a few things differently next time. First and foremost, I wouldn't buy a house and renovate at the same time...this was a hugely stressful time for me already. I would also never host a winter sewalong again, whilst holding down a 9-5 job. Due to poor lighting in the early mornings and afternoons, I was limited to photographing tutorials at weekends, meaning I was often working too close to deadlines for comfort. A great experience overall though! 1. 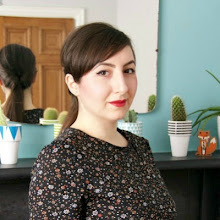 Having this blog feature on The Guardian online (in a blog by Karen from Did you make that?) and in Sewing World Magazine. 2. Meeting and catching up with so many of your lovely selves at Rachel's epic London meet-up and at another big meet-up in Birmingham organised by Krafty Kat, Sew, Incidentally... and I. I was also fortunate enough to spend some quality time with some of you during smaller gatherings. 3. After an enthusiastic start with knitting, 2013 was the second year running I didn't finish a single project. 4. Despite an incredible year overall, I often felt over-stretched in 2013. I sometimes took on more than I could sanely handle and I think this compromised my own stitching agenda at times. I gave up on setting myself specific goals a couple of years ago, which has suited me much better. Some would say I have commitment issues, but I say I just like my freedom! There is one stipulation for 2014 though: I want to try and slow down my stitching a little, focus on quality and enjoy the process. I know this sounds boring, but by not spreading myself too thin I'll have a greater chance of fulfilling my own stitching agenda (whatever that may be at any given time) with better results. That's the theory anyway! If you got to the end of this self-indulgent post, well done and thank you! I hope 2013's treated you well and that 2014 brings each and everyone of you plenty of good health and happiness. I'll see you on the other side with a great giveaway to celebrate the New Year! Haha, thanks Jenny...I may have to wear it to Sainsbury's soon!!! Looks like you had a great year! I've enjoyed seeing what you've made over the course of this year. You had quite a year! I love your sew for victory dress and your Peter Pan collar blouse. They're both gorgeous on you. Your watch this lace series was awesome too. I loved seeing how everyone used their lace differently. I hope you have an even more successful 2014. Thanks so much Kat, right back at ya! I loved reading this, particularly as I only discovered your blog midway through the year. I can relate to your "no commitments" policy. I like to write about what I want to make, but am always distracted by new (to me) patterns, and I ALWAYS underestimate how long a make takes. I found my misses of the year often were sewalongs that I overcommitted to. Looking forward to seeing what you come up with next year! Happy New Year! Lovely to have you on board Helen, thanks for following and commenting! I hope you find a healthy balance for yourself this year as well! Great makes - I really like even the ones you class as misses! 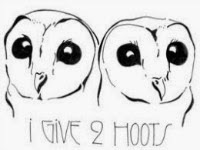 Thank you Helen and I wish you eve4ry success in your goals too! I second that! We will put on the best meet-up ever for you, Lauren! Yesss, let's make it happen! Either in the US or the UK, as long as we meet I'll be happy. Dare I even dream of both in one year?!? It could happen! And as Tilly says, we'll make it a meet-up to remember if you come to the UK! You made so many beautiful things this year, Marie! I always look forward to your posts-- you have such a great style and aesthetic, and I'm always really inspired by your makes. The Watch This Lace project was one of my favorite things this year-- thank you again for inviting me! Thank you so much Sonja and the feeling is totally mutual! I've loved reading your blog this year Marie. Thanks for the inspiration and all the best for 2014! You had a very productive year full of beautiful things! I love your children's clothes, that is on my list for 2014! Thank you Angela! I hope you enjoy stitching for little ones as much as I did, it's so much fun! Lots of lovelies! What pattern is that little baby dress with the tie straps? I'm looking for easy baby dress patterns! Thank you! The baby dress pattern is so darling and free to download from made by RAE: http://www.made-by-rae.com/2008/04/free-itty-bitty-baby-dress-pattern/. Enjoy! Happy New Year to you, Marie!! Hot damn woman! You have sewn so many bangers. My favourite has to be your dakota with that fringe you're my rock chick heroine. It really does sound like you've had a lot going on with it all so I wish you the absolute best for 2014 and the chance to enjoy the fruits of your labours. What an amazing year for you Marie, filled with soooo many achievements, you must be very proud and I do detect a need for a rest! My goodness! Your sewing year was so productive. I love that you dipped your sewing finger into various projects. I'm really impressed at how much you were able to manage. Kudos!